Like it or loathe it, cultural fit-based hiring is all the rage at the moment. This is illustrated by an eye opening study of professional services firms by the Kellogg School of Management, which revealed that today’s bosses are choosing employees who they feel have a good personality fit, e.g. who they feel they can be friends with, and this is proving to be more important than the candidate’s experience and qualifications in the selection process. This means that there is now a greater emphasis in hiring on accurately assessing candidate personality, and a popular way to do this is to use a third party personality questionnaire. However, there is some skepticism in the HR community that candidates know how to fake personality tests. They are able to present a false personality to suit the job profile and conceal their true personality. But, is it really possible for candidates to beat personality tests? In theory, yes. Not only can candidates examine the job description for required personality traits, but there are a standard set of character traits that employers look for such as: integrity conscientious, team work and persistence, which many candidates will be aware of. It means that candidates are in some cases likely to adjust their personality test answers so they appear more suited to the role. Also, if you look on the internet, you will find tips and guidance available on how to fake psychometric tests for a range of roles. 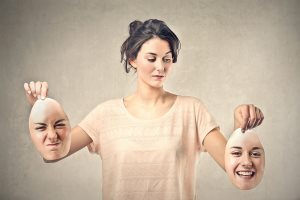 So, not only is there motivation to fake personality tests, there are abundant resources schooling applicants on how to do this, thus raising the ability of the candidate population to fake tests. So, just because applicants can fake tests, doesn’t mean they necessarily do, does it? I mean, to what extent do they actually fake, given the conditions and the important negative driver that they may well hate the resultant job. Well, a study by the Department of Psychology, Florida Institute of Technology concluded that between 30-50 percent of applicants elevated their personality tests scores when applying for a job. So, it seems that candidates can and do fake personality tests even at the risk of them not liking the resultant job or not being good at it. Does this mean they should not be used? Obviously not, there is a whole industry out there predicated on personality tests. But, you should bear in mind that personality tests are not the most reliable form of assessment. Studies have shown that personality tests have a predictive accuracy of .31, which is much lower than that of ability tests (.54), work samples, (.55) and structured interviews (.62). This means it is not necessarily about whether or not to use personality tests, but to make sure they adopt an appropriate place in the pecking order and that they are used to corroborate performance assessments obtained from other more reliable assessment methods. There are also further steps you can take to mitigate faking. For example, monitoring the applicant while taking the test and/or using two tests and letting applicants know they will be held accountable for the test results in that there will be a detailed discussion of their answers at a later date.